It’s winter time again and it’s certainly time for sahlep. It’s a delicious warming drink and I highly recommend it – the real thing, of course! Sahlep is very special, very Turkish and its season is limited. You can only find it in the winter months, officially between October and April. 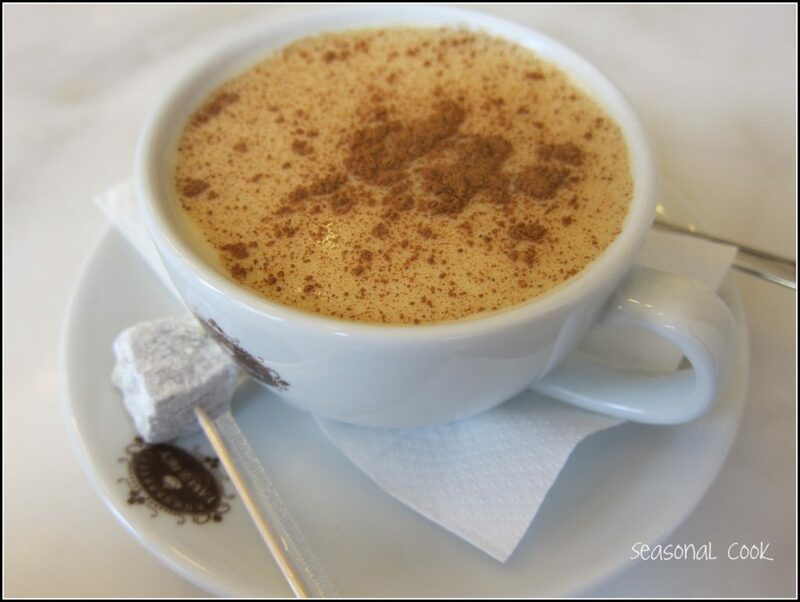 What is sahlep (or salep)? It is a hot milky drink made improbably enough from the flour obtained by grinding the dried tubers of the orchid genus ORCHIS found in Kahramanmaraş province in the south of Turkey, and also the Black Sea provinces especially Kastamonu. 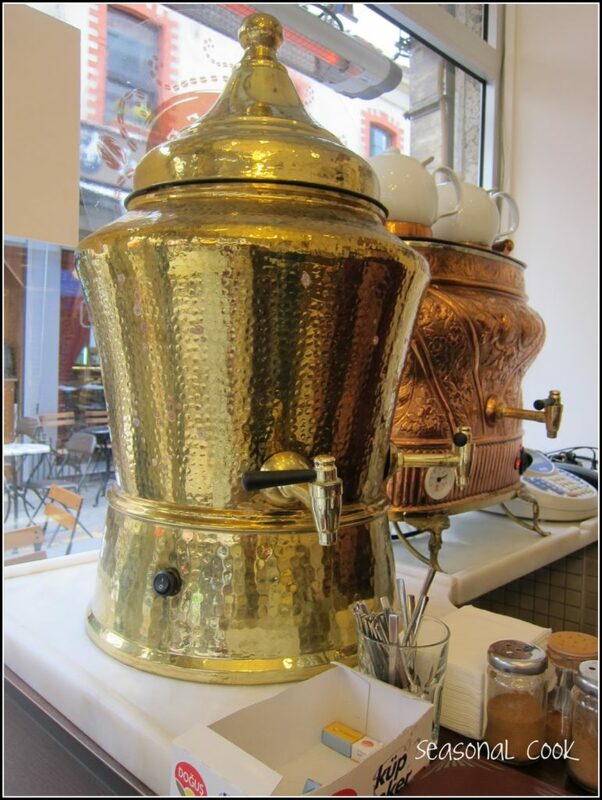 Sahlep was a popular beverage throughout the Ottoman Empire when it was sold in the streets from large copper jugs over braziers with the customers warming themselves at the same time around that brazier. What a wonderful picture that conjures up. Traditionally it has the reputation here for curing digestive problems and gum disease as well as increasing resistance against coughs and colds. Due to the shape of the tubers, aprodisiac qualities have also been attributed to it! In fact sahlep was even popular in England in the 17th and 18th Centuries when it was called ‘saloop’ and served with bread and butter! The powder was thickened with water and flavoured with orange flower or rose water. Nowadays it is made with milk topped with cinnamon and what a lovely warming hot drink it is. However the sahlep powder is amazingly expensive. I tracked it down when I was in Kadıköy, an old traditional area right on my doorstep. It is only sold in shops that sell Turkish coffee and at what a price! 250 TL per kilo! This is almost £88 or $137 per kilo. Extortionate. 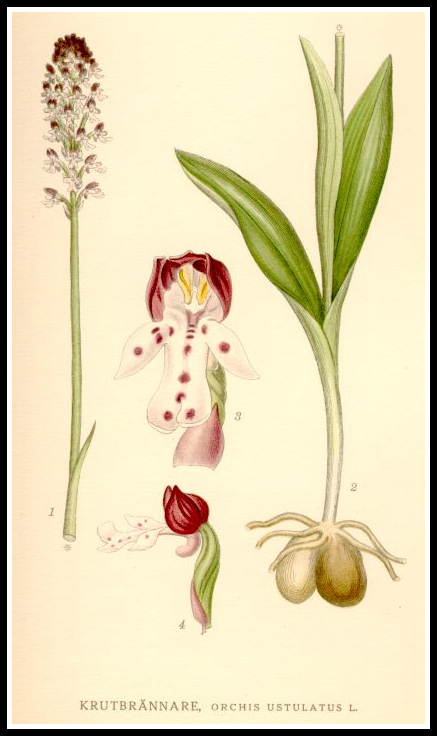 But this reflects the fact that so many orchid tubers are used to produce this powder. In fact the decline in the population of wild orchids has resulted in a ban on the exportation of true sahlep. So much of the sahlep you may see around contains artificial flavourings. It is available commercially in packets from supermarkets but contains preservatives. I doubt very much that you will be able to obtain it abroad. Here you can buy a steaming cup on the ferries that cross the Bosphorus but I don’t think it will be the authentic sahlep. It’ll be a nice enough milky drink thickened probably with cornstarch and sprinkled with cinnamon on top but it won’t be made from ground orchids. But I was on a mission when I was in Kadıköy: I asked first of all in Mehmet Efendi where I could actually drink the gerçek sahlep ie the genuine article, and was directed to a little café round the corner. I found it. 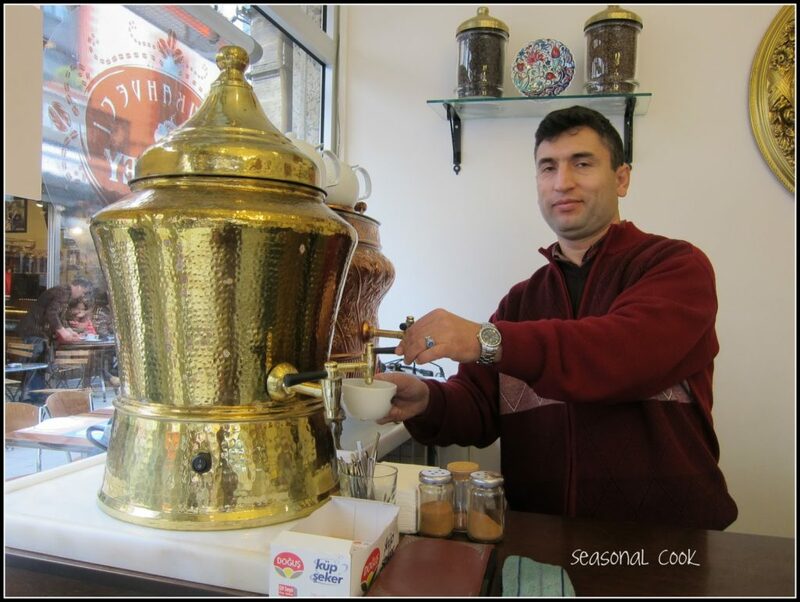 It only serves Turkish coffee, çay, and sahlep! Just my kind of place. 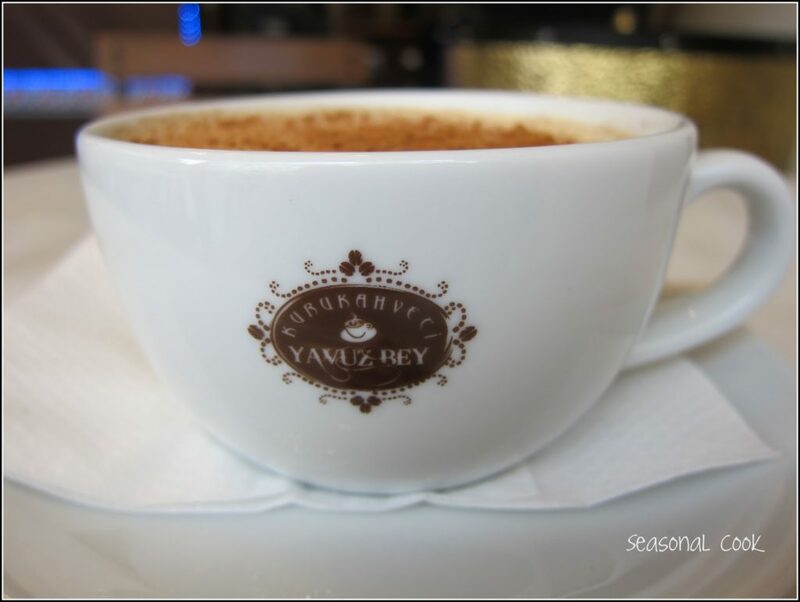 I loved it: Yavuz Bey Kurukahveci right in the heart of the çarşi as the local market area is known, a concentration of amazing little shops in a criss-cross of tiny streets. Absolutely worth the visit. You can also find the real sahlep at traditional milk pudding shops throughout Istanbul like Sütiş,Zeyneland Saray Muhallebecisi. They are all great. 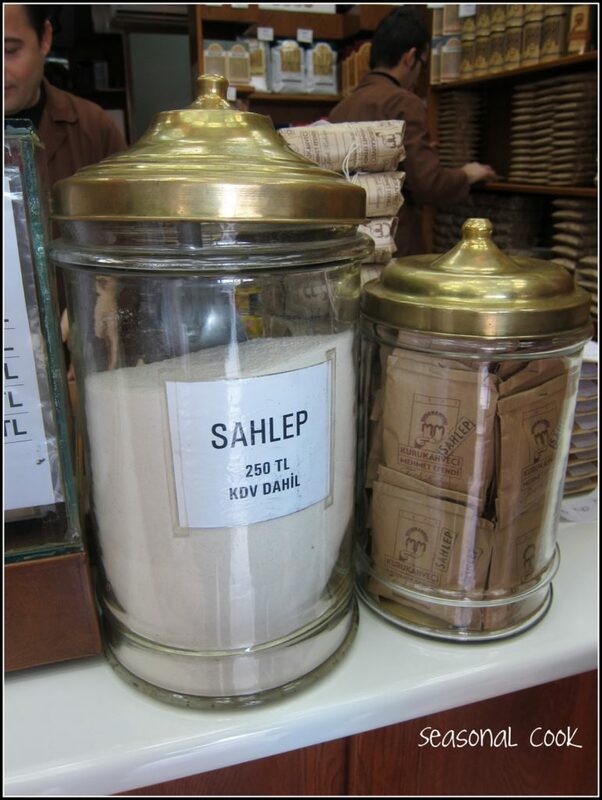 You can find sahlep powder in the Spice Bazaar/Mısır Çarşısı in Istanbul and probably other traditional places. Place all ingredients in a pan. Bring gently to the boil, whisking continuously, for 2 – 3 minutes. It will gradually thicken. Pour into two cups and dust with cinnamon. Serve immediately. how cool! i would love to try some! I love salep, but I guess I have not actually been drinking the "real" thing. Not sure I could afford to do so. Some of the instant packet mixes are good but some awful. It's a sure sign that winter is here when the packets appear on the shelves. Ahh, that salep looks to die for, could you have some for me? Photos look amazing, enjoy! I loved your kereviz dish too and the Antakya tepsi kebab looks very inviting. For the cuisine of Antakya, try Jale Balci's book "Antakya and its cuisine". She is from Antakya and runs the lovely Antiochia restaurant in Beyoglu, highly recommended! So, can the powder be purchased year round or only during this time of the year? I think I will take some home for family to try. Thank you so much for a wonderful article! Sheryl: that's a very good question. I am not at all sure. I will find out and let you know! Thank you for your comment! I've only ever tried the packets they sell at Migros 🙂 Just tastes like thick, pudding-y milk. Yes, I am not surprised … go and get the real thing! My niece, Becca, has become a salep addict! 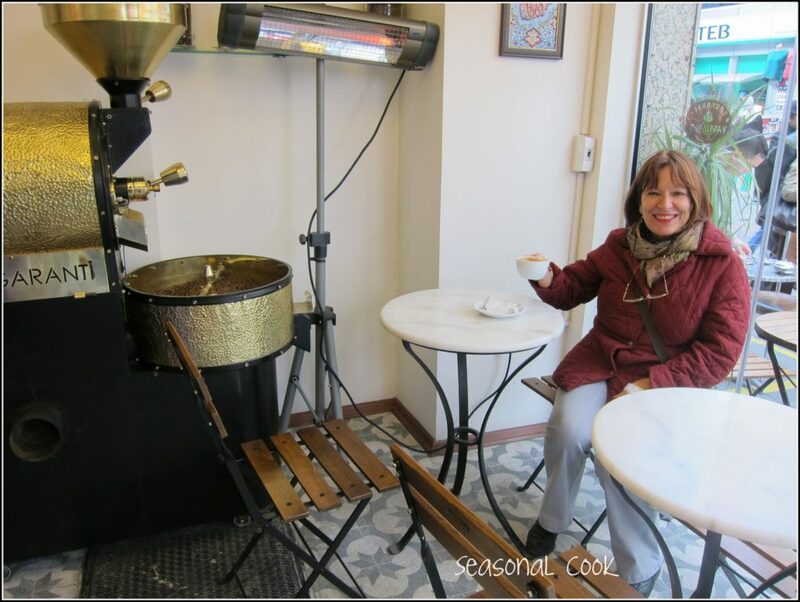 We tried asking for this café in Kadikoy and were sent all over the place. We did discover the real stuff in Fazil Bey' in Turk Kahvesi, however, and she is making it to your recipe now! Wish I had read your blog before going to Istanbul. Well, next time! Thanks for the tip!